. Published on July 24, 2014 . 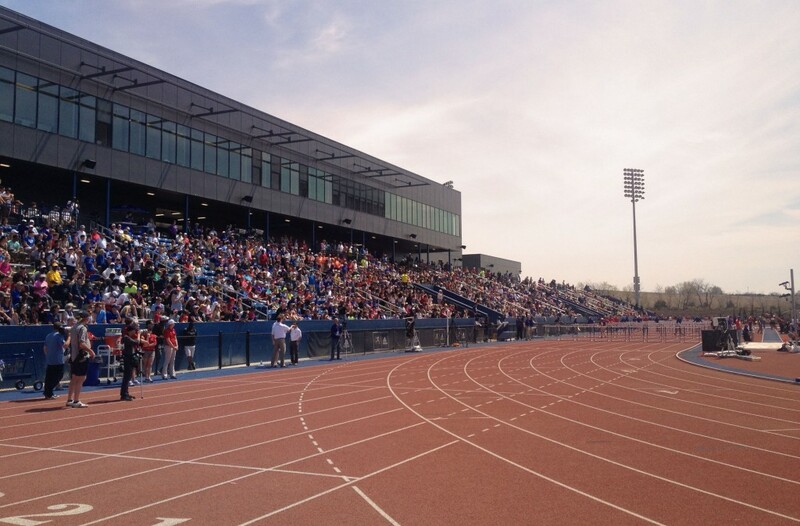 No construction vehicles or blistering Kansas winds slowed down runners at the Kansas Relays, recently held at our Rock Chalk Park Track & Field Facility. 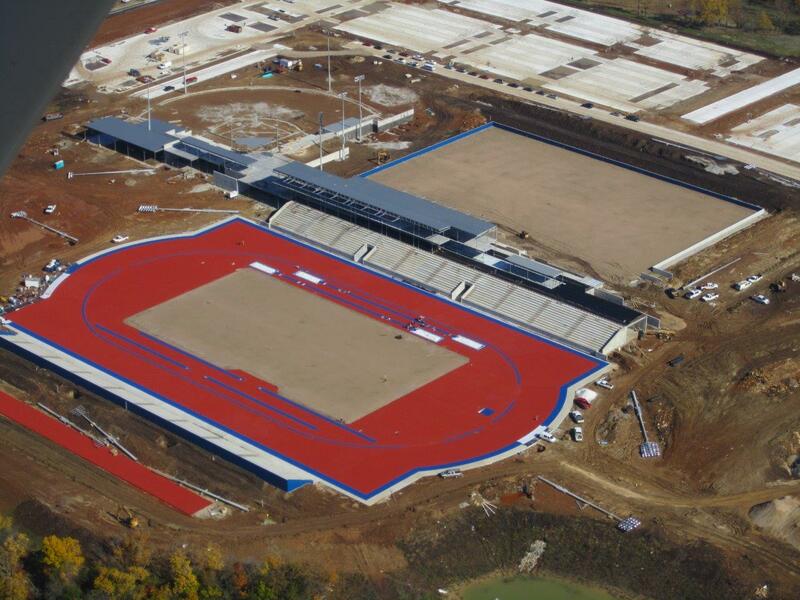 Though a majority of the site is still under construction, contractors were able to secure a Temporary Certificate of Occupancy to allow the annual event to occur at the new home for the University of Kansas’s track and field program. Our office finished documents for the design over a year ago and currently Matt and John are working tirelessly to ensure a top notch facility. Saturday, Jesse and I were able to roam the complex along with the other 3000 or so people who were officially allowed onto the property for the four day running, jumping, and throwing extravaganza. At the north end of the main concourse, an outlook area, on axis with the entry walk, gives fans a view of the entire complex from an excellent vantage point. Seats in the east stadium bleacher afford a broad view of various runners representing high schools and colleges from around the region: KU, Coffeyville, Nebraska, and Southern Illinois to name a few. The seats also give great glimpses of rolling Kansas hills off to the north and the south. Wandering further around the complex we encountered a few areas taped off by construction crews, but most of the track facilities were complete and accessible; including the concession stands, where a Powerade will cost you only four dollars. Perhaps the most exciting seats in the whole facility are not seats at all, but rather, require posting up by the fence at track level at the end of the 100 meter finish line. The constant click, click, click, click of professional photographers, eye to eye level of yourself with the sprinters screaming over the finish line, and interviewers asking questions to heavy breathing athletes gave this spot a sense of urgency and life. By the end of the day we had seen world class pole vaulters, long jumpers, high jumpers and runners – one who ran the fifth fastest time in the world this year.